PyGanic is based on Natural Pyrethrum, a botanical insecticide derived from chrysanthemum daisies grown in Tasmania and other parts of the world. PyGanic has no residues so can be used up to the day of harvest. It is a fantastic alternative to harsh and synthetic insecticides. PyGanic is a fast knockdown insecticide making it compatible with IPM due to the fact that no residues remain after spraying. 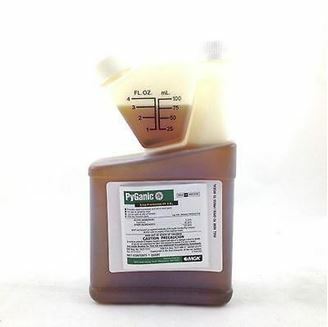 PyGanicis a known insecticide resistance breaker becuase the natural variation of pyrethrins in the product prevents insects building any resistance. PyGanicis the only IFOAM, NOP, BioGro and BFA Registerd Organic Pyrethrum insecticide becuase it does not contain Piperenoyl butoxide (PBO) or other prohibited solvents.